Alright this may sound a bit cliche cos its actually one of my company sponsored restaurants but I decided to visit all the same. Anyhow my brother and his wife were visiting & I never treated them to anything, especially his wife, whom I knew for several years now but never had the time to sit and enjoy some coffee. Plus, I was informed that I would be enjoying a nice flat 50% staff discount, so why not eh? Prior to the visit, I must admit that the staff was aware of my arrival. My Operations manager went out of her way to make my reservation and to make sure that I would be attended to well, owing to her knowing that I was a keen food blogger. I’m not saying she arranged for any special services, but I did get a lot of attention. The restaurant is located on the mezzanine floor of the Hotel, & were very accommodating despite us reaching late and placing such huge orders. 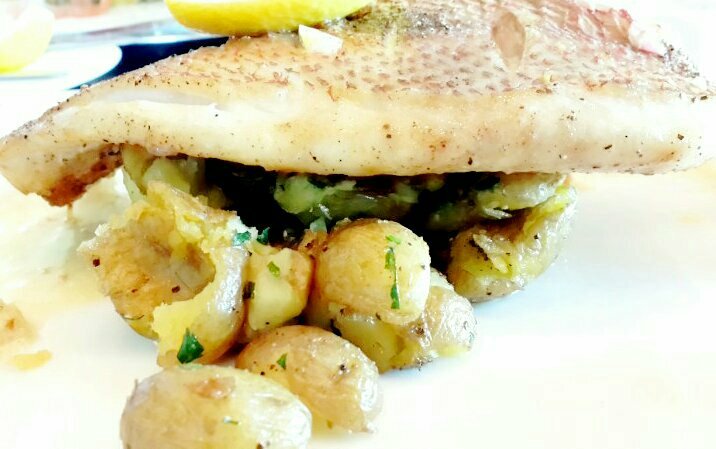 My sister-in-law and myself went for the seafood option of Baked Hamoor and Ratatouille, while my brother settled for the attractive looking Chicken Escalope. There has been absolutely no publicity for the same – neither a website nor a Facebook page making it difficult for advertising. Appetizers were dry stale bread served along with olive oil, dried Parmesan flakes, and soy sauce. The restaurant shares its name with another popular Mexican restaurant in Khalidiyah Mall. The ambiance was quite, perhaps because we were the only customers in the restaurant. The main courses, to be frank took long for service – but once plated, they were flawless. The Hammour was succulent and fresh. 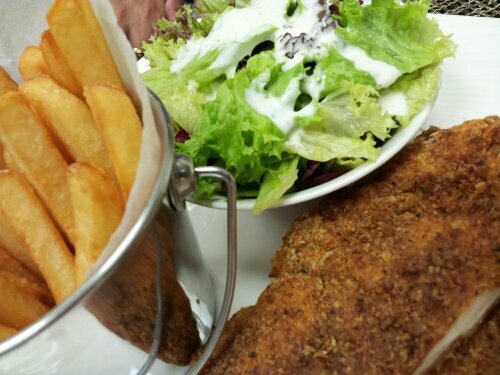 The Chicken Escalope was crispy and served with French Fries and Tartar Sauce. The meal was indeed hearty. 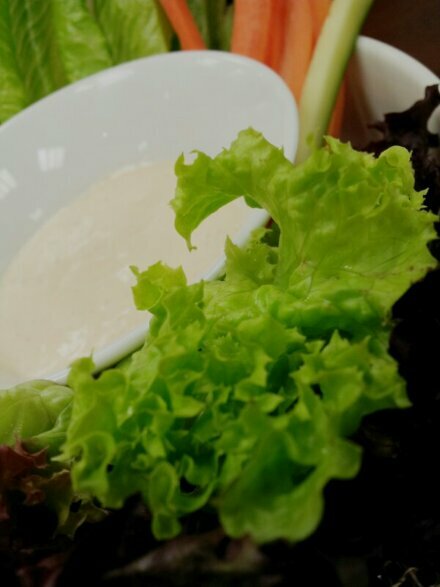 As a complimentary gesture, we were served fresh Garden Salad with Thousand Island dressing. On the whole the experience was satisfying but could definitely have been better. For starters they really need to work on their marketing, followed by some fresh bread baskets / hors d’ouvres. Full marks for cleanliness, hygiene, lighting, menu options and restrooms. My compliments to the chef for the food presentation! Price for 3 persons including cocktails and mineral water AED 250.00. Make sure to avail the valet parking facilities. Been a long and stressed filled week…was supposed to be at a night club last night, but couldn’t find the energy to move after returning home from and putting down my bags…so I just tossed myself to sleep. Didn’t have much household chores for today & besides, did not have any part-time either, and…oh yea! forgot to mention…yesterday my folks purchased The Entertainer Abu Dhabi edition, where each of us as family members had to contribute equally. 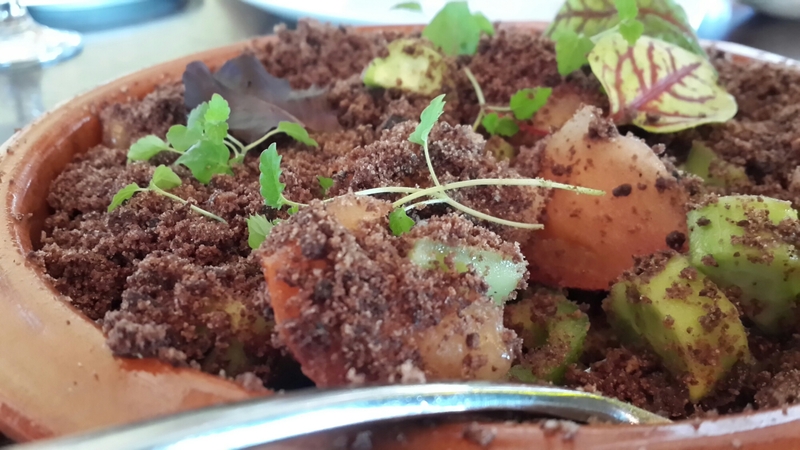 I think for all of you foodies out there in Abu Dhabi, The Entertainer is a brilliant saver for AED 395. It gives you and your accompanied companion a chance to afford food ranging from high class gourmet spreads, to the simple hamburgers for the price of one. And this year’s edition comes with an awesomely fantastic offer for one night’s complimentary stay at Ten selected 5 star hotels / resorts, with the purchase of one night’s booking! The book is available at all leading bookstores. I recommend you get your copy from Borders, as you will earn a AED 60 voucher on further purchases. 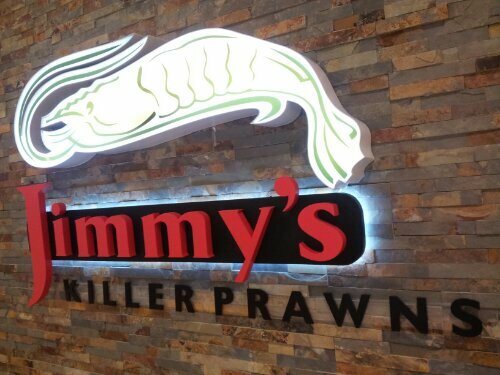 Anyways, making best use of the offers and vouchers we selected a place to dine out tonight and shortlisted another seafood delight…Jimmy’s Killer Prawns @ Mushrif Mall. I underestimated the crowd at the mall! It was like the entire city was right there. After thorough searching we managed to squeeze our car into one of the slots in the basement parking. My mind suddenly dreaded the thought of not finding seats at the place, but my sis assured me we’d find a table for two easily. She was right. The ambience was perfect. 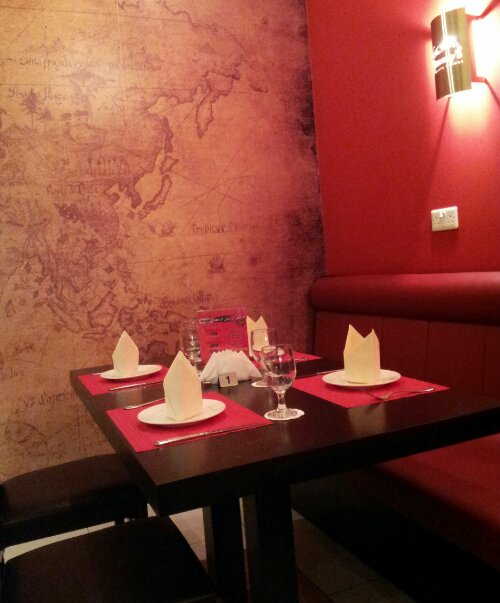 Plush and clean interiors & the aroma of cooked shrimps filled the zone as soon as you entered. The staff were very professional in seating, waiting and recommending the best – promptly. So no limitations where service was concerned. As usual we couldn’t possibly miss the Calamari for our appetisers. We had a choice of grilled or fried. Other similar first courses included garlic bread, seafood salads, soups, etc. 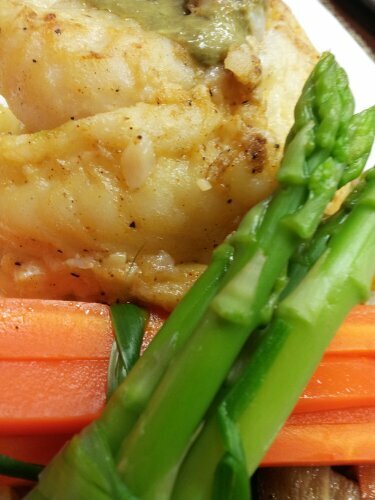 I must mention the freshness of the calamari as both the fish as well as the batter melted in your mouth promptly. 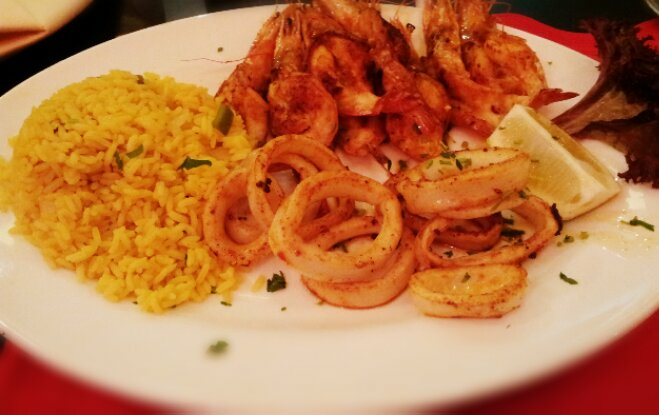 My sis chose the Prawn & Calamari platter for her main course, which included grilled calamari and grilled prawns with some rice that tasted like paella. 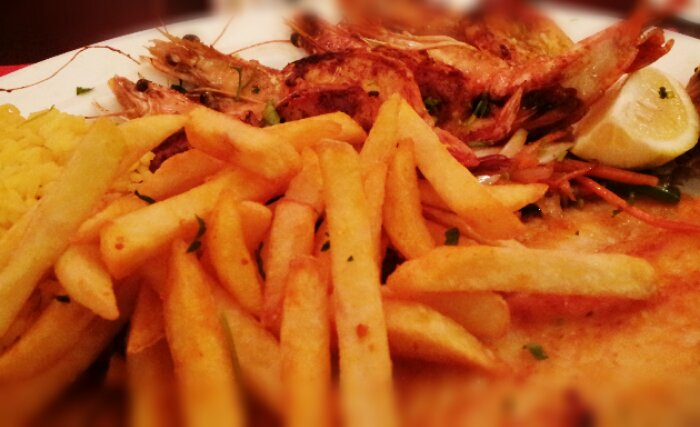 Mine was a similar platter with grilled fish & prawns, served with rice, french fries and fried veggies. 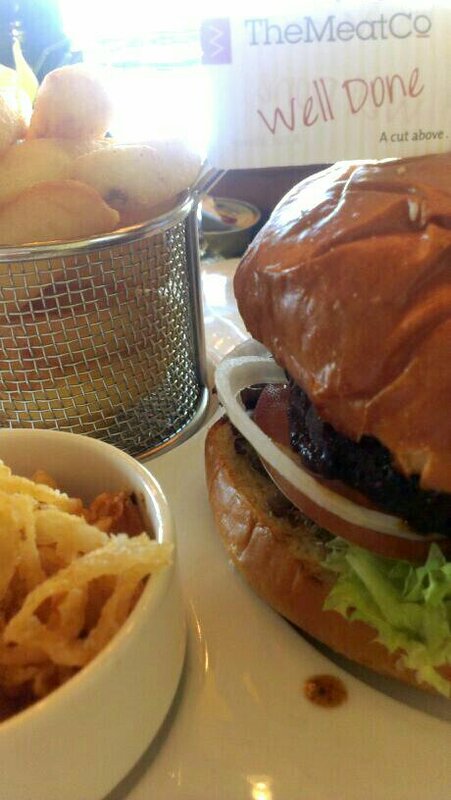 As you can notice, the portions were large making it absolutely worth its price. Each of these platters ranged between AED 70 – 150 depending on ingredients. We were also served with sauces – spicy tobasco, butter & mustard. A waste bowl was also placed on the table for ridding your prawn shells, etc. The entire set up was fantastic. 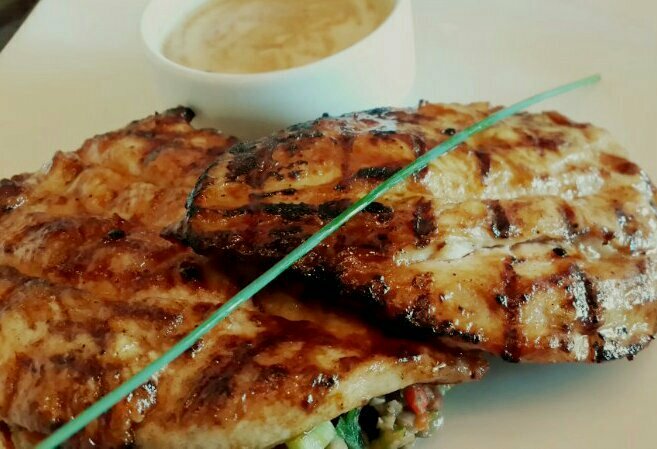 Non-seafood eaters who wish to treat your seafood-eater-counterpart could also enjoy traditional steakhouse dishes like rib-eye steaks and grilled chicken. We were too full to manage any desserts, but yes they were available. Overall experience was good, though I must advise to take your own mouth freshners (unless its not date night or it doesn’t make any difference to you), as well as your own wet tissues in case you have used your hands to shell your prawns. Bon Appetite.